We’ve been getting in quite a few radial piston motors, especially those coming off CAT CTLs. 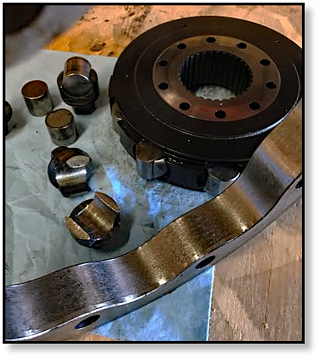 In this blog post, we are going to talk about the most common reason for failure of radial piston motors that get sent in to us for repair or re-manufacturing -- and how easily this failure mode can be prevented. If you recall from previous posts, radial piston motors are very powerful LSHT (low-speed, high-torque) hydraulic motor design which does not require a gear-box to reduce speed. In this design, the pistons are arranged in a star-like configuration and are perpendicular to the driveshaft. In the image shown, you can see the cam, pistons, and piston block -- all key components of a radial piston motor. While their speed is limited in comparison to axial piston motors, they generate far more torque. That's why you'll see radial piston motors used on equipment like compact track loaders, backhoes, and full-size excavators. The piston block is the main component in the center section of the drive motor, which generates the power to rotate the output shaft, which in turn rotates the tire or the track. It’s a vital part of your radial piston motor, and when it fails you will certainly know it. The piston block shown below is in poor condition, and is has a very simple cause: hydraulic contamination! Hydraulic contamination is undoubtedly the number one enemy of hydraulic systems, including radial piston motors. Between 75% and 90% of all hydraulic system failures can be traced back to contamination. 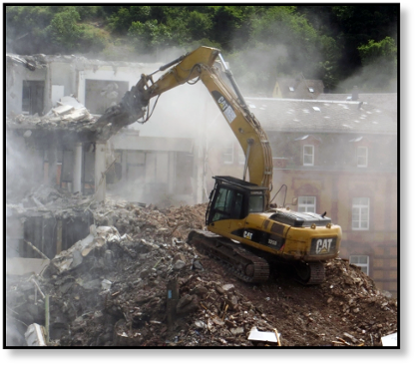 Contaminants can be classified into abrasive (metal flakes, dirt) and non-abrasive (water, air). The type of damage shown in these images is caused by abrasive contamination. There are many sources of contamination. Contaminants such as casting sand, pipe sealant, rag fibers, and weld splatters can be introduced to the system during manufacturing and assembly. Contamination such as dust, debris, and rust can also enter the system during routine maintenance. There are generated contaminants, such as metal flakes and shavings. Contaminants can also enter the system through failed seals, pitted shafts, or broken air breathers. 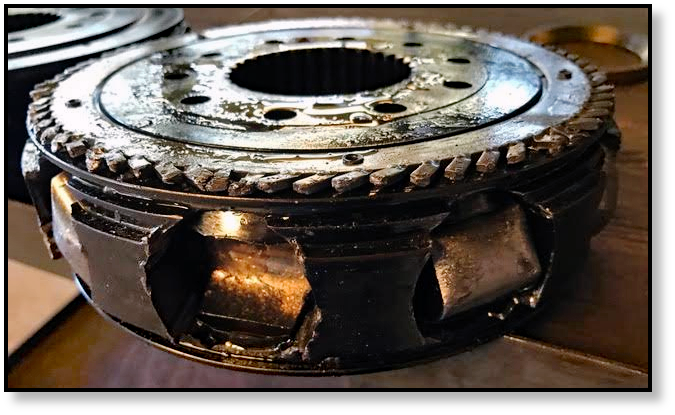 Contaminants can have serious effects on systems and result in abrasion, erosion, and cavitation -- which starts a cycle of serious damage just like what we have been discussion for radial piston hydraulic motors. Keeping your hydraulic fluid clean is the key to a well-functioning, efficient, dependable hydraulic motor. So how do you know when contaminants are starting to damage your track motor? The symptoms of this type of failure will typically be jumping or lunging, as well as a loss of power coming from one side of the tracks. If you are experiencing any of these, it's time to check your hydraulic fluid and check those filters before your final drive is damaged further. 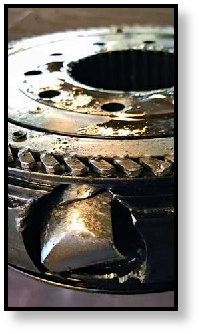 Hydraulic contamination is the most common source of damage we see in radial piston motors -- and this applies to all radial piston motors, including those on CAT CTLs and the Bobcat S series. 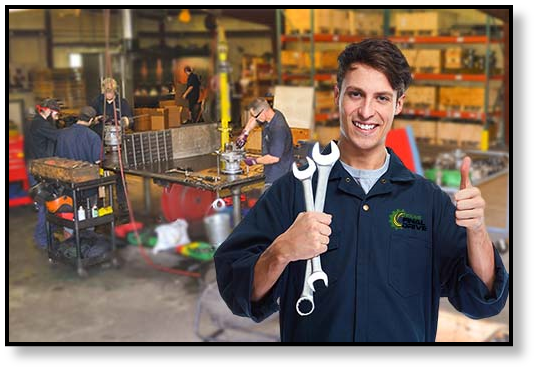 By changing out your hydraulic fluid and filters on a regular basis, you can save money on repairs, reduce downtime, extend component life, and have a powerful machine that operates efficiently.